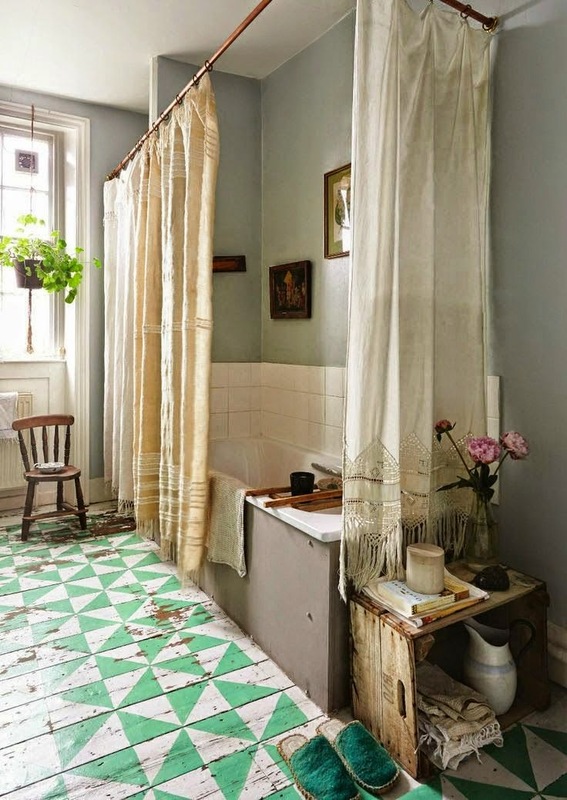 Such great geometric painted floor boards that works so well being slightly worn, making a statement against the delicate lace curtains and soft green colours used in this bathroom. I like the way different pieces of vintage looking materials have been hung around the bath, not for the purpose of catching water as if it was being used for a shower but for comfort. I bet it looks beautiful with candles glowing around the bath in the evening.